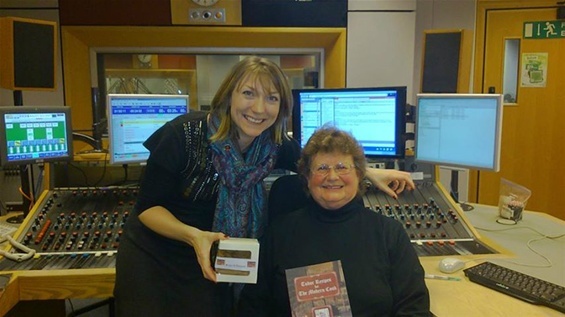 I've been invited back onto the Katie Martin Afternoon Show on Monday 23rd Dec at about 1.30pm. This time I'll be talking about the history behind decorating our homes with greenery etc and the giving of gifts. Tune in! Well I was back on BBC Radio Solent today, Saturday 14th Dec 2013. I was invited onto the Sasha Twining Show to be a paper reviewer with 2 lovely gentlemen, Jonathan and David. We reviewed the papers for an hour and then I was asked to stay on for a further 45 minutes and talk about homemade Christmas decorations and gifts; Jonathan was even persuaded to stay on for 10 minutes and make a cinnamon stick sledge Blue Peter style. I'll be back in the BBC Radio Solent studio on Saturday 23rd August 2014 at 8am starting with the paper review on the Sasha Twining Show!